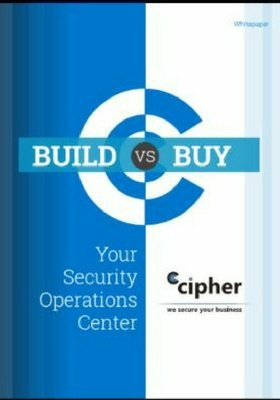 Miami, FL, January 23, 2018 --(PR.com)-- CIPHER Security LLC, a leading global cybersecurity solution provider, announced today that MarketsandMarkets™, a global B2B research firm, selected CIPHER as a top global security system integrator according to a new research report titled ‘Security Systems Integrator Market.’ The report confirms that the security system integration market is expected to grow from $9.76 billion in 2017 to $14.72 billion by 2022, at a Compound Annual Growth Rate (CAGR) of 8.6%. MarketsandMarkets selected CIPHER for its innovative range of security system integration services across the banking, financial, healthcare, hospitality, education, legal, and retail verticals. In addition, the scope of CIPHER’s global security system integration services was a factor for inclusion, with CIPHER covering the dominant security system integration markets in North America, Europe, and South America. MarketsandMarkets highlighted the most significant restraint for security system integrators is the difficulty in expanding their business on a global scale. CIPHER is already well-scaled to support security system integration, managed security services, and security consulting across these three continents. CIPHER’s security system integration services cover a broad scope of security technologies, including application security, endpoint security, network security, data security, risk and compliance management, vulnerability management, and business continuity and disaster recovery. CIPHER’s comprehensive approach along with a team of more than 150 global security experts allows the organization to build strong partnerships and full lifecycle security solutions for organizations around the globe. MarketsandMarkets is the largest market research firm worldwide in terms of annually published premium market research reports. Serving 1700 global fortune enterprises with more than 1200 premium studies in a year, M&M is catering to a multitude of clients across 8 different industrial verticals. We specialize in consulting assignments and business research across high growth markets, cutting edge technologies and newer applications. Our 850-full time analyst and SMEs at MarketsandMarkets are tracking global high growth markets following the "Growth Engagement Model – GEM". The GEM aims at proactive collaboration with the clients to identify new opportunities, identify most important customers, write "Attack, avoid and defend" strategies, identify sources of incremental revenues for both the company and its competitors. Founded in 2000, CIPHER is a global cybersecurity company that delivers a wide range of products and services. These services are supported by the best in class security intelligence lab: CIPHER Intelligence. Our offices are located in North America, Europe and Latin America with 24×7×365 Security Operations Centers and R&D laboratories, complemented by strategic partners around the globe. CIPHER is a highly accredited Managed Security Service Provider holding ISO 20000 and ISO 27001, SOC I and SOC II, PCI QSA and PCI ASV certifications. We have received many awards including Best MSSP from Frost & Sullivan for the past five years. Our clients consist of Fortune 500 companies, world renowned enterprises and government agencies with countless success stories. CIPHER provides organizations with proprietary technologies and specialized services to defend against advanced threats, while managing risk and ensuring compliance through innovative solutions.